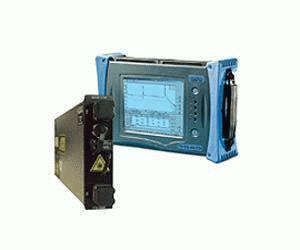 EXFO’s FTB-7200 LAN/WAN OTDR helps you boost test productivity for inside-plant applications. Its exceptional 1 m event dead zone enables you to easily locate and characterize all events between the transmitter and the central office’s fiber distribution panel. This feature also comes in handy in metro, access and FTTH network applications, where events are usually closely spaced. The FTB-7200D model combines singlemode and multimode functionalities, ideal for private network testing. It offers the industry’s shortest dead zones, as well as lightning-fast acquisitions. Test multimode fiber within premises, or singlemode fiber between premises—all with a single OTDR unit—and maximize your return on investment. The FTB-7200 LAN/WAN OTDR is compatible with EXFO''''s rugged, portable test platforms, the powerful FTB-400 and the compact FTB-200. All EXFO OTDR modules come with a UPC- and APC-compatible universal interface (EUI) connector, as well as an optional visual fault locator (VFL) option, ideal for troubleshooting LAN/WAN and metro networks.